Vigabatrin is useful in treatment of partial seizures. Vigabatrin may inhibit the breakdown of GABA. The common side effects of vigabatrin may include psychiatric disturbance and sedation. Ethosuximide is useful in treating patient with absence seizures. Ethosuximide is one of the anti epileptic medication which acts by inhibiting the metabolism of GABA and decreasing the flow of calcium ion across the neuronal cells. 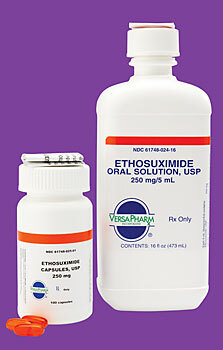 The common side effects of ethosuximide are gastrointestinal discomfort, fatigue, rash and pancytopenia. 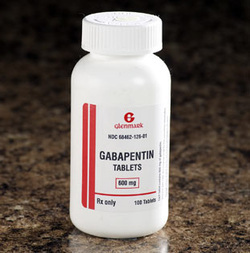 Gabapentin is useful in the treatment of generalized tonic clonic seizures, partial seizures and painful neuropathies. The common side effects of gabapentin may include sedation and ataxia. Lamotrigine is useful in treatment of simple partial seizures, complex partial seizure and generalized tonic clonic seizures. 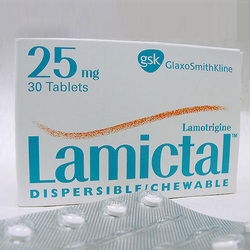 Lamotrigine may inhibit the sodium channel and inhibit the released of glutamate. The common side effects of lamotrigine may include nausea, headache and rash.